As a self-proclaimed member of the lower middle class, Lubbock resident Debra Spencer knew that paying for her kids’ college would be a struggle. This year, however, that struggle has grown far beyond her expectations. The state is phasing out the biggest source of aid her daughter received when she enrolled in Wayland Baptist University three years ago. That means her son will probably have to rely entirely on federal loans when he shows up at the same school this fall. Spencer said her kids don’t qualify for the other state-run programs. State grants have always made up a small portion of Texas students’ college aid — about 6 percent, according to the Texas Higher Education Coordinating Board. But for middle-class Texans, the state’s help has been shrinking even more. Six aid programs accessible to a broad array of income groups, including people from families that make more than about $60,000 per year, have been targeted for elimination since 2011. Meanwhile, scholarships and grants for the poorest Texans have grown. The change isn’t necessarily intentional. Each cut was an individual decision, and lawmakers have said they eliminated programs that were inefficient or weren’t achieving their desired goals. But all of the cuts combined have caused some higher education leaders to wonder whether middle-income residents are being left behind. The shift away from the middle class will accelerate on Sept. 1, when two programs that contributed about $90 million annually to Texas students of all income levels will begin to phase out. Those programs, the B-On-Time loan system and the Top Ten Percent Scholarships, served more than 26,000 students in 2013. Technically, the B-On-Time program is a loan, but it often worked more like a grant. Full-time students seeking undergraduate degrees received interest-free loans from the state. If the students graduated on time and with a B average, the loans were forgiven. The state spent about $53 million on B-On-Time disbursements in 2013, and some experts praised the program’s apparent ability to persuade students to graduate on time. But there were always problems. Federal law bans schools from advertising loan programs, so many students were unaware of the benefit. And funding was inequitable at schools across the state. Those issues caused lawmakers to scrap the program. Starting this fall, the state will only fund renewals. The Top Ten Percent Scholarships, which paid out $38 million in 2013, is also being axed. The program promised a reward for students who graduated near the top of their high school classes and chose to attend Texas schools. But the growth in eligible students outpaced the growth in funding. The original award was $2,000, but the state only had enough to pay out $600 to each student last year. Lawmakers argued that $600 wasn’t enough to make a difference. “Both programs were found to be less effective, but for different reasons,” said Rep. Trent Ashby, R-Lufkin, who chairs a subcommittee that focuses on education spending. At the same time, lawmakers pumped tens of new millions of dollars into other programs. TEXAS Grants, which pays students up to $7,400 per year, received an additional $62.7 million for 2016-17. The Texas Educational Opportunity Grant, which received about $28.9 million in new funding. Lawmakers said those programs were boosted because they were found to be efficient and effective during a strategic review. 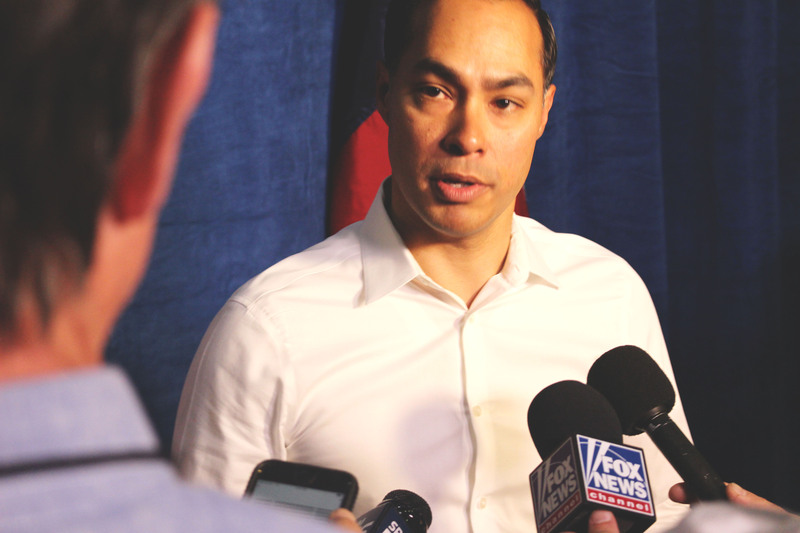 Only students who the federal government expects to receive limited financial help from their families are eligible for TEXAS Grants and Texas Educational Opportunity Grants. That expected family contribution is determined through a formula based on earnings, assets and other factors. But many families of four with income of more than $60,000 wouldn’t qualify for either. Those students now have few options for help from the state. In 2011, lawmakers cited budget difficulties caused by the recession as the reason for eliminating four other programs that didn’t have strict income limits. Those programs spent a combined $20 million each year on students who graduated early from high school, had a parent in the military or were degrees in engineering or nursing. That leaves just one grant program that doesn’t have strict income rules — a scholarship to students defray the high cost of tuition if they attend expensive in-state private schools. Now, most middle-class students will have to seek out federal aid or scholarships from local groups. Paredes said the state should do more. Attending the University of Texas at Austin from out of town can cost around $30,000 per year, he said. That’s a major challenge for a family that earns $60,000, he said. “We don’t have any financial aid programs to help those students,” he said.